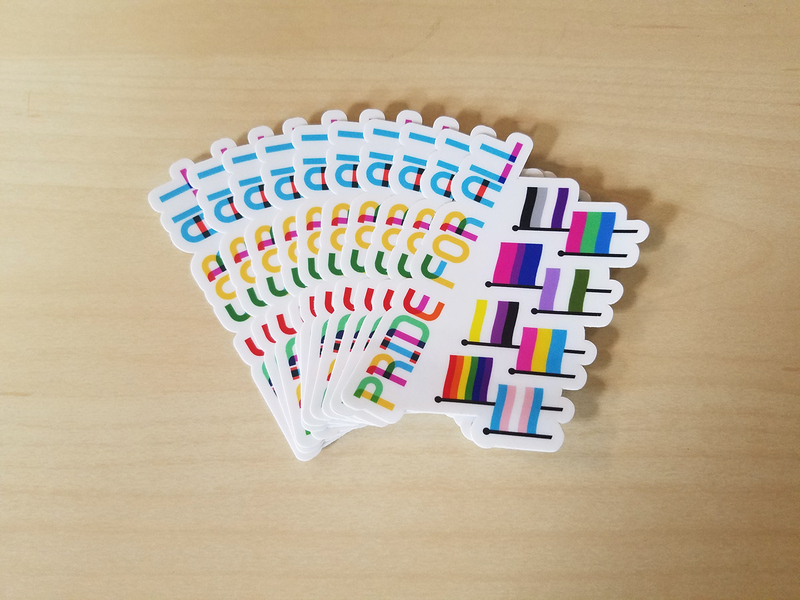 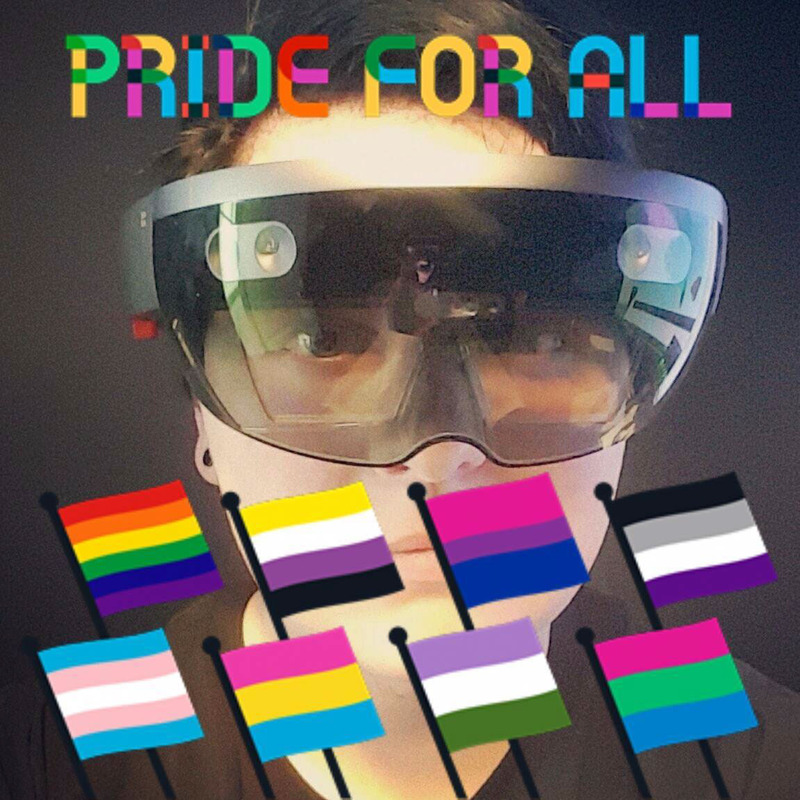 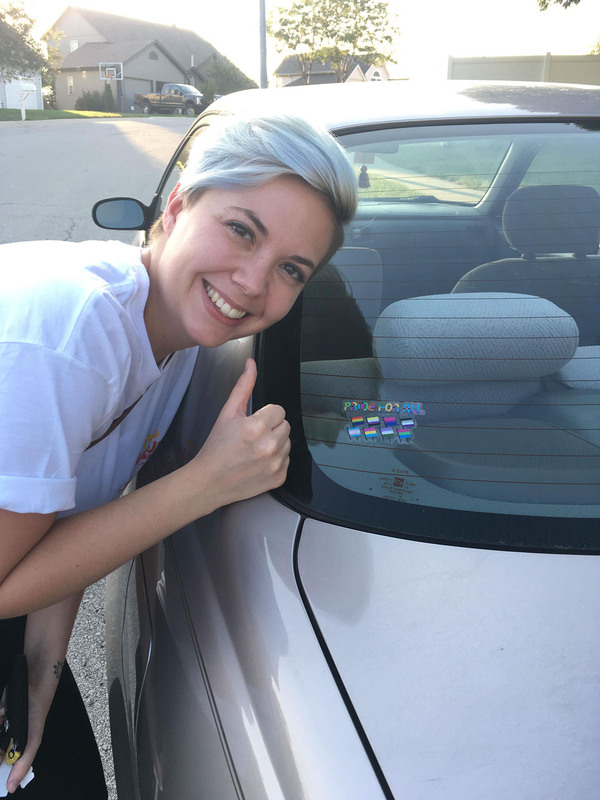 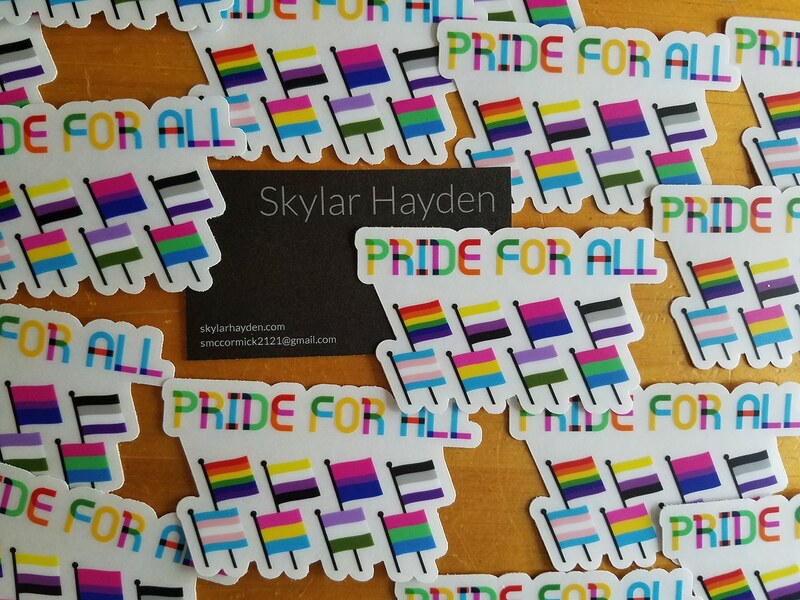 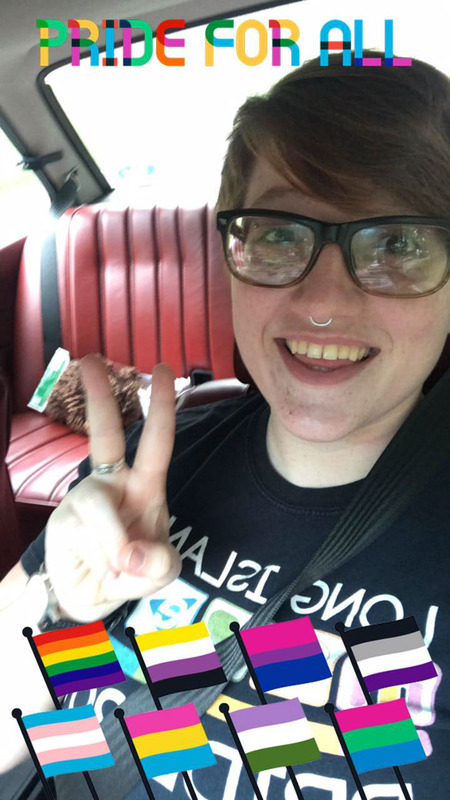 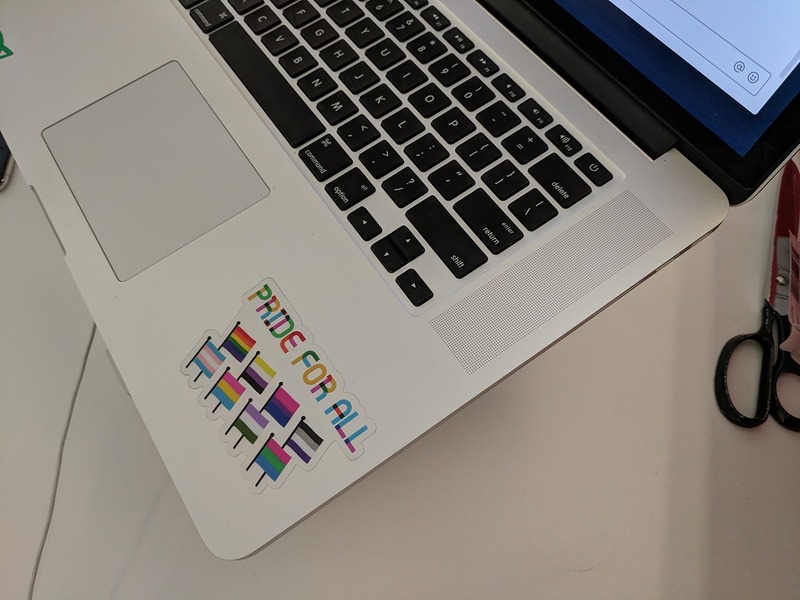 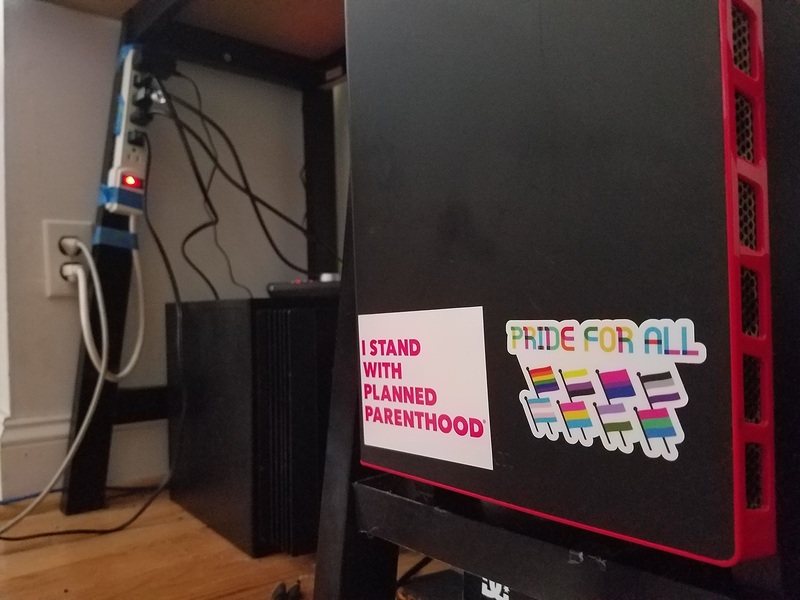 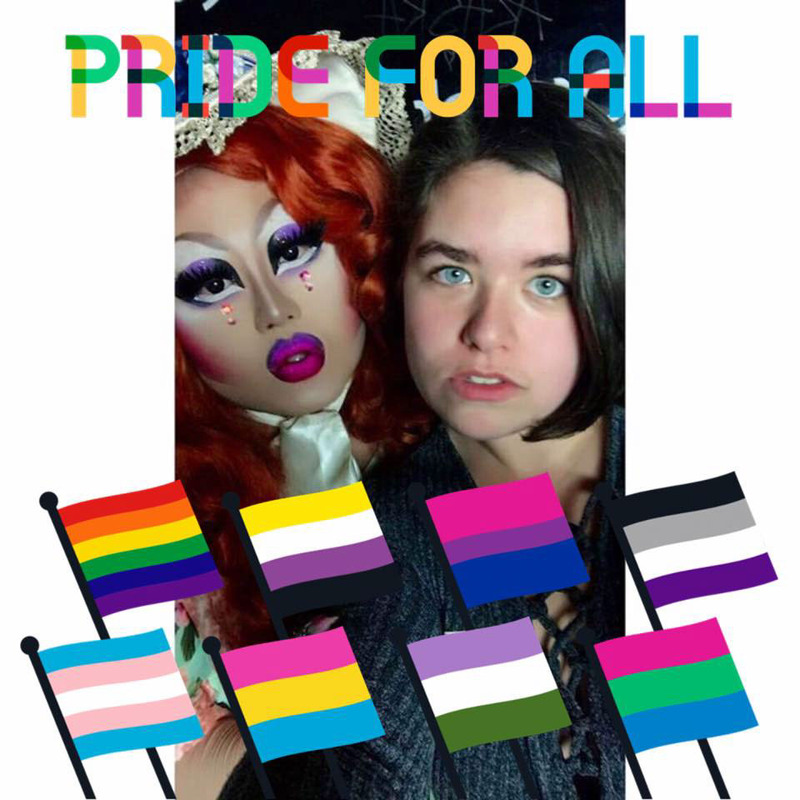 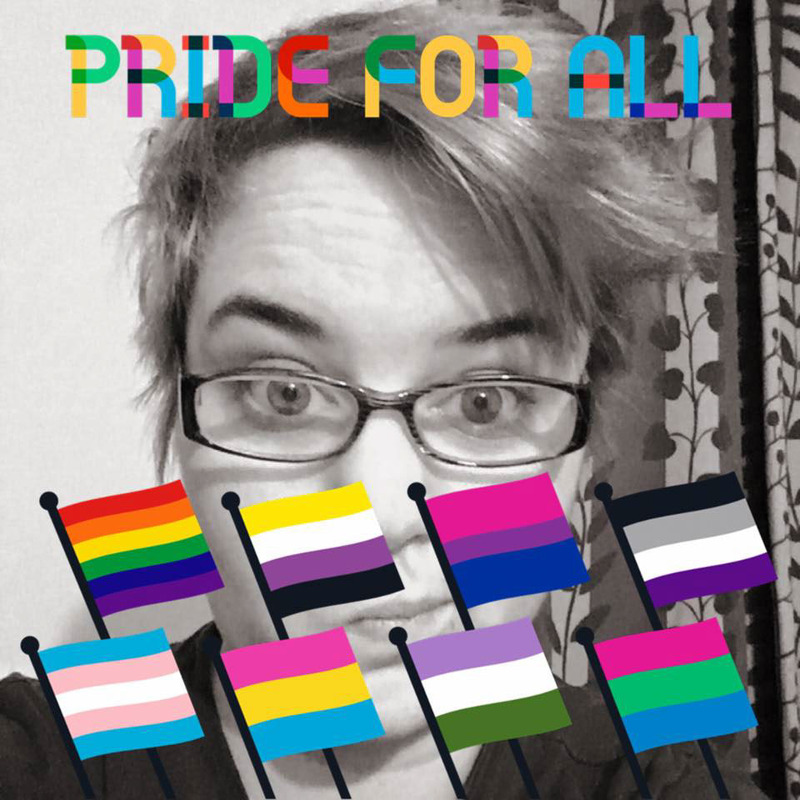 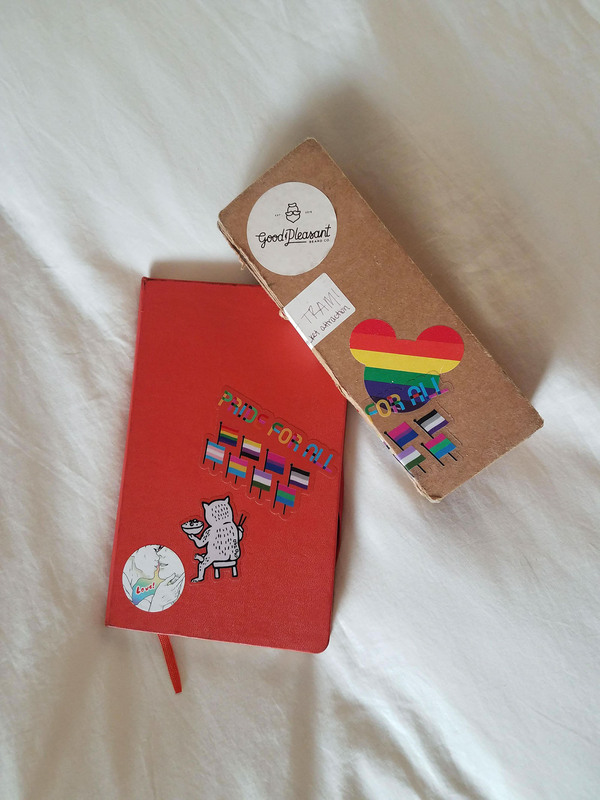 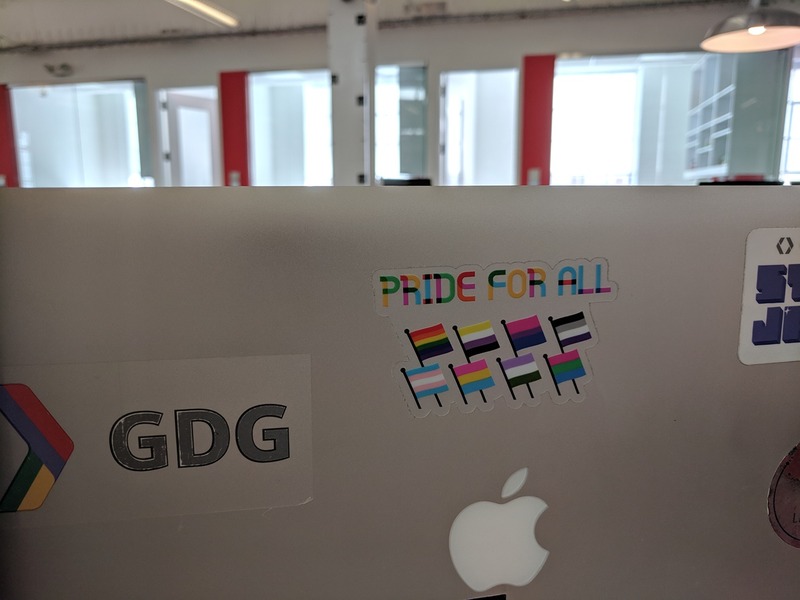 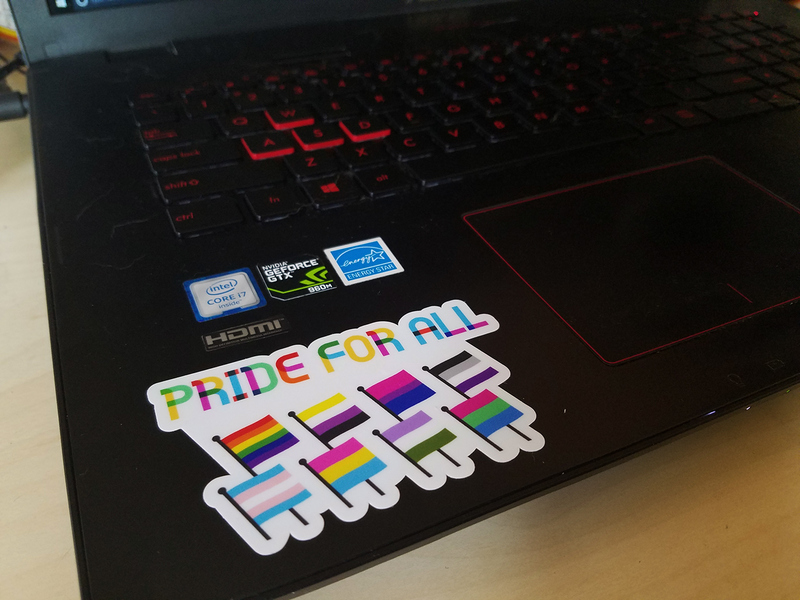 For Pride this year I decided to make a Facebook photo frame and then turned that graphic into stickers. 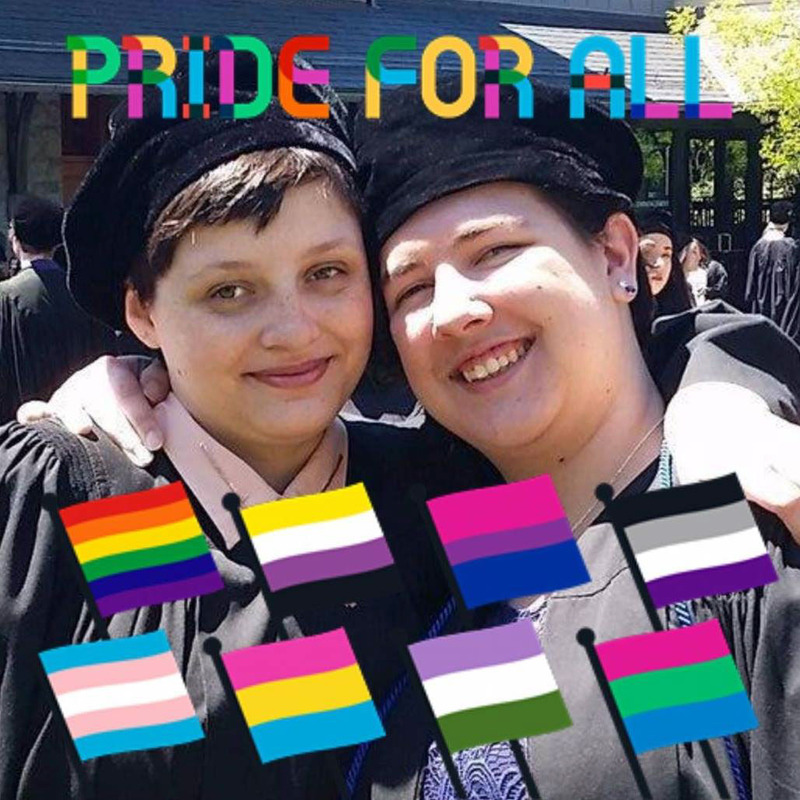 I originally made the frame because the Facebook app was prompting users to show their support for Pride Month by adding photo frames to their profile pictures, and when I looked through all the ones on Facebook currently I couldn't find any that I really liked, and decided to try to make my own, one that showed more pride flags than just the rainbow flag. 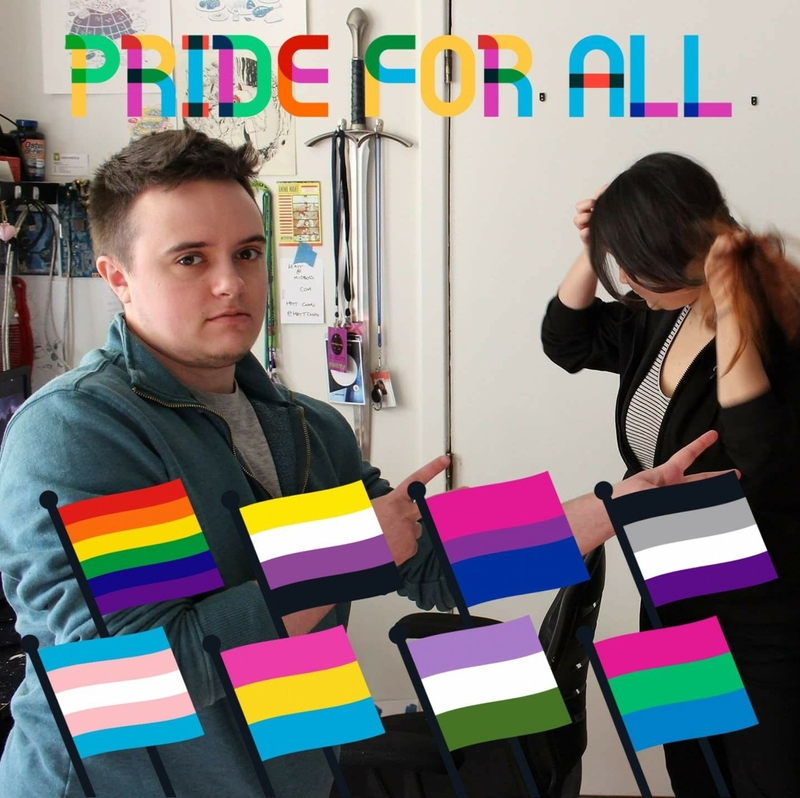 I decided to use the Gilbert font, which was created this year, because I had not seen this in the other frames on Facebook and this was the perfect opportunity to really honor the font. 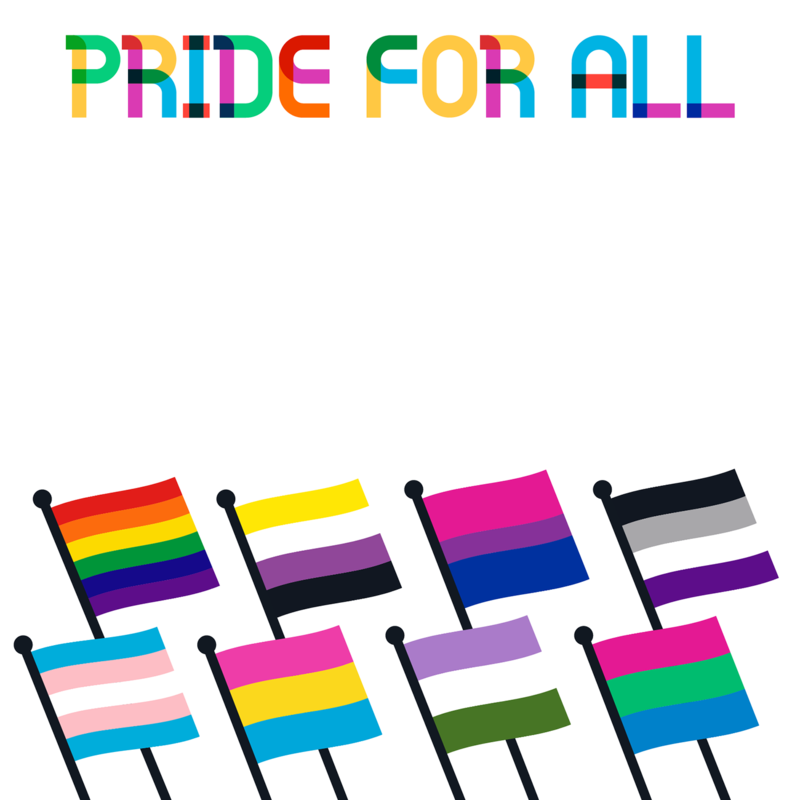 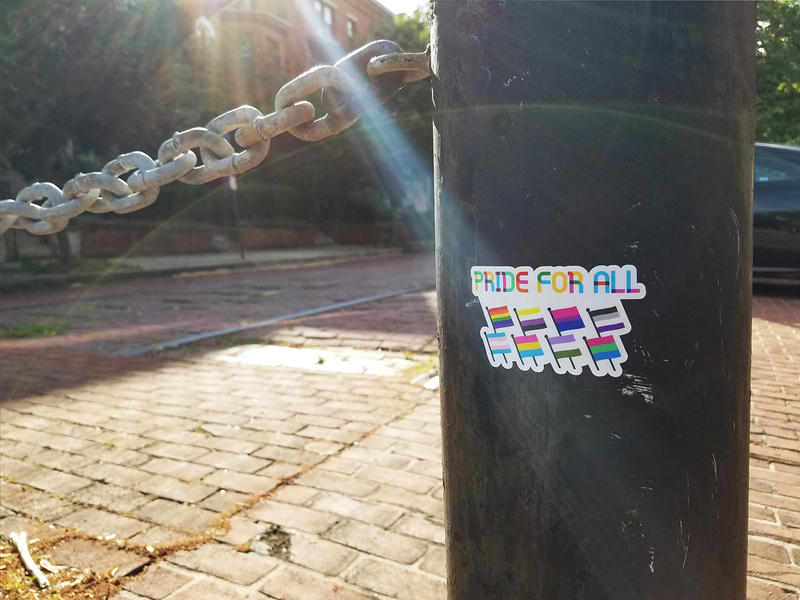 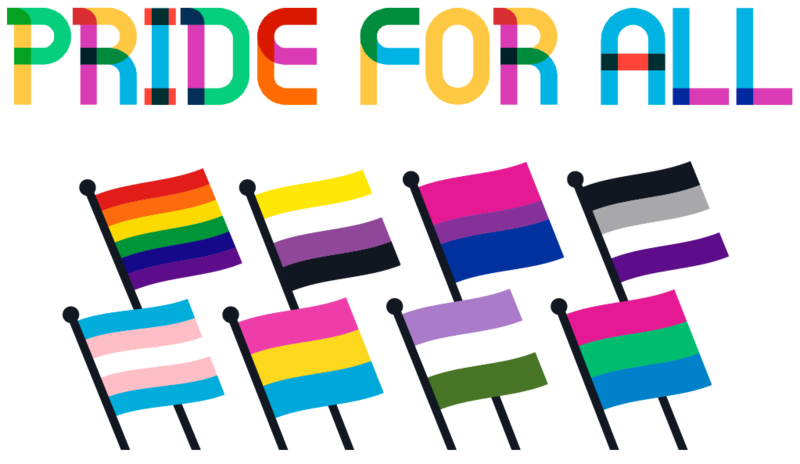 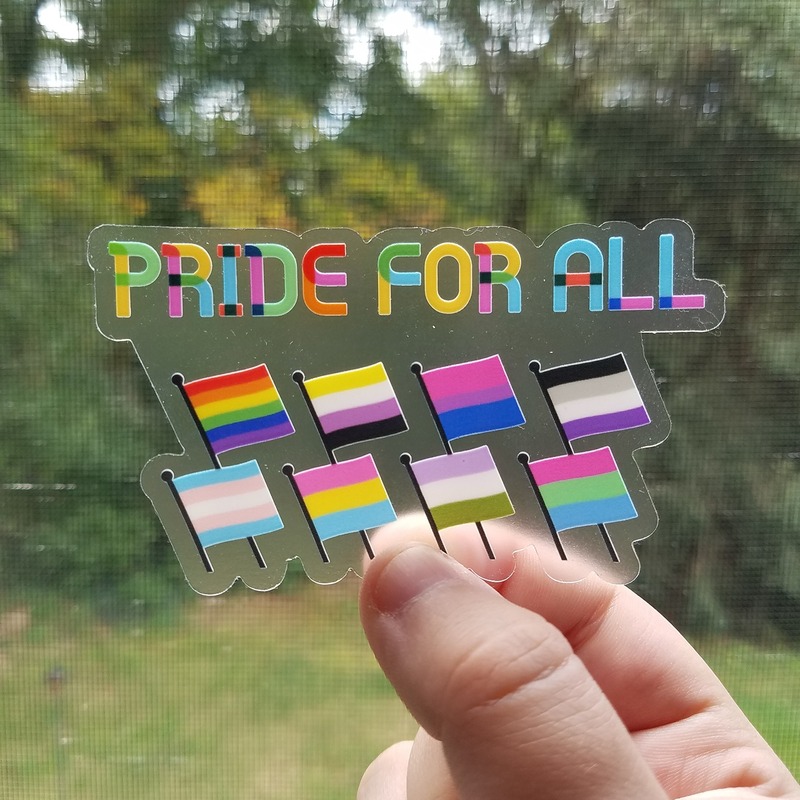 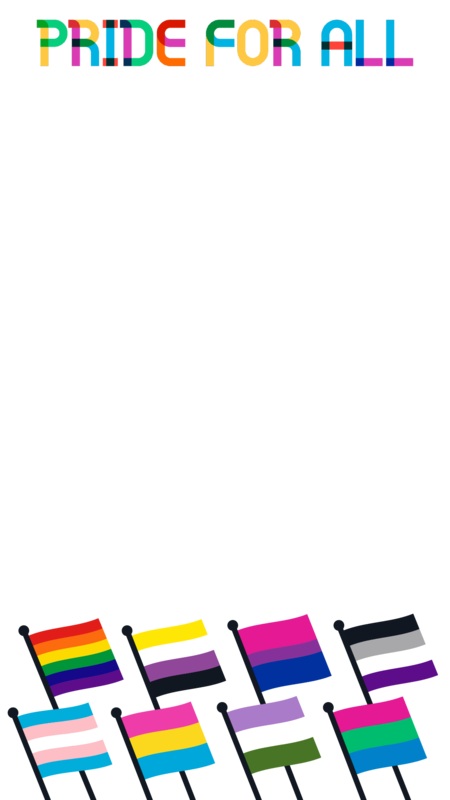 The frame was getting a fair amount of positive feedback and I felt like I really wanted to keep expanding what could be done with these graphics before Pride Month was over, so I altered them into more of a sticker format and have been posting them around and handing them out.